Le procedure applicative e i passi necessari per lo sviluppo di metodi e pratiche di Reward. La Guida è distribuita in formato digitale, scaricabile tramite link che verrà inviato sucessivamente all'acquisto. The OPERATING GUIDE FOR THE DEFINITION AND MANAGEMENT OF THE COMPANY REWARD SYSTEM belongs to the series of OD&M operating manuals dedicated to HR professionals and is focused on the management of the company reward system (i.e. reward levers). The goal of this operating manual is to illustrate the procedures and steps necessary to develop reward methods and practices, which enable companies to support the implementation of a business strategy through people. The practical suggestions contained in it will be backed, when necessary, by methodological references and specific literature in the matter. This Guide is based on two assumptions explaining the rationale behind the methodology applied, which recommends starting from the identification of a reward strategy before coming to the definition of a company reward policy. - The company-specific context is key to making the right reward decisions. The simple repetition of practices adopted by other companies, even if considered “best practices”, and the lack of an in-depth analysis of the problems regarding the organization in question, jeopardize the efficacy of any reward system. - There is a strong relationship between company result and the reward policy adopted by the same company. While the impact on labour cost is immediately visible, it is also possible to observe an impact on the company’s financial results when a correct reward management is implemented, because “the implementation of a correct reward system helps people make the right decisions to ensure the attainment of the company’s strategic objectives” (Michael Porter). 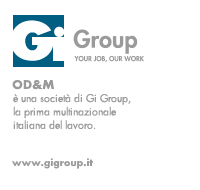 The OPERATING GUIDE FOR THE DEFINITION AND MANAGEMENT OF THE COMPANY REWARD SYSTEM is the english translation of the Guida Operativa alla Definizione e Gestione del Sistema Retributivo and is distributed on CD-ROM for easier use and to allow you to save and print its contents directly on your computer.